Jasper Liu (Pleasantly Surprised) is on roll and I’m not complaining! While Pleasantly Surprised (喜歡.一個人) is going to wrap up this week and even held their celebratory party yesterday, Jasper is ready to take on a new role for upcoming drama, My Ghost Friend (我的鬼基友) (Unofficial English Title) and it’s reported to be a web-series of China’s famous video streaming site, Tudou. Joining him as the female lead is Andrea Chen (In Time With You) which you guys may know her as Maggie from In Time With You (我可能不會愛你), it was also reported that Bryant Chang (True Love 365) will be co-leading with Jasper. The main cast held the production press conference earlier today. 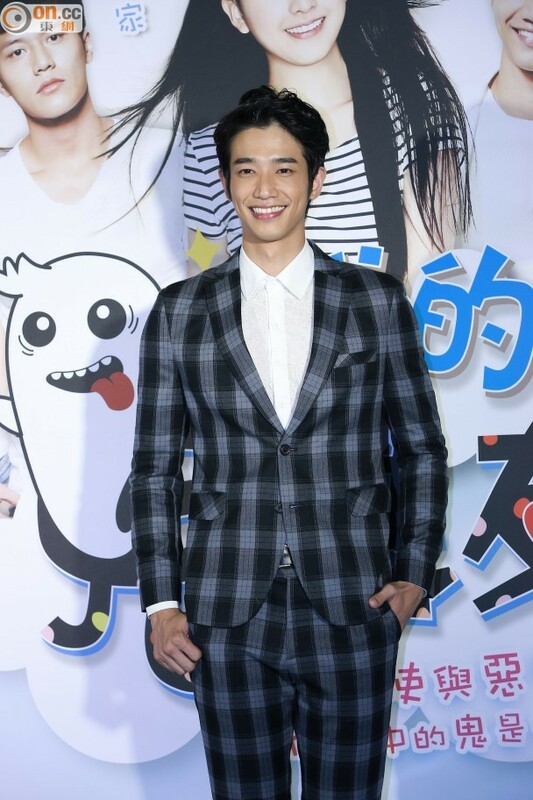 It was said that Jasper Liu will be playing as a persistent ghost with supernatural abilities who harbors a deep love towards his ex-girlfriend, Andrea Chen’s character, they were separated due to a tragic car accident and after losing Jasper, Andrea’s character who was once a bright and cheerful girl changes. Bryant Chang will be playing as a 26 year old virgin otaku (describing a nerdy male who’s socially awkward) and both guys will revolve around Andrea Chen. The story is described about a guy (Bryant Chang) being possessed by a ghost (Jasper Liu) so I highly doubt Jasper will end up with the girl but YAY for a new type of role. I also predict that there will be a lot of bromance between Jasper and Bryant’s character, haha! After gaining more recognition and popularity through Pleasantly Surprised, I was expecting him to take a break and take another SETTV project after his break but I’m glad he’s not sticking to what he’s expected to do. SETTV dramas tend to be the leader in tv-rating, thus it’s a fast-track to fame but the type of roles are all so restricting as they love the rich boy-poor girl or smart guy-clumsy girl formula. Venturing outside SETTV is always a good thing as he can try out different roles and I’m happy that I don’t have to wait too long to see my baby, Jasper Liu. It’s obvious that I’m Jasper-biased but I also acknowledge that he’s still very green in acting so seeing that he’s trying out new type of roles make me feel very proud of him, he needs to do more acting projects to polish his acting skills. It seems like the “ghostly ex-boyfriend” is becoming a trend in Taiwanese dramas lately, with Kun Da (Prince William) playing as a ghost in Love Cheque Charge (幸福兌換劵) and now, Jasper is following the trend. Also, it’s pretty interesting to see Andrea Chen collaborating with Jasper Liu, where they both had participated in In Time With You but didn’t share any scenes together. I’m not sure whether it will be purely a Chinese web-series or whether it will also air in Taiwan’s network channel. The production team is all Taiwanese so I’m a bit baffled by why is it called a Tudou-series in the news. Anyways, it’s slated to air in February next year so we’ll see how it goes. 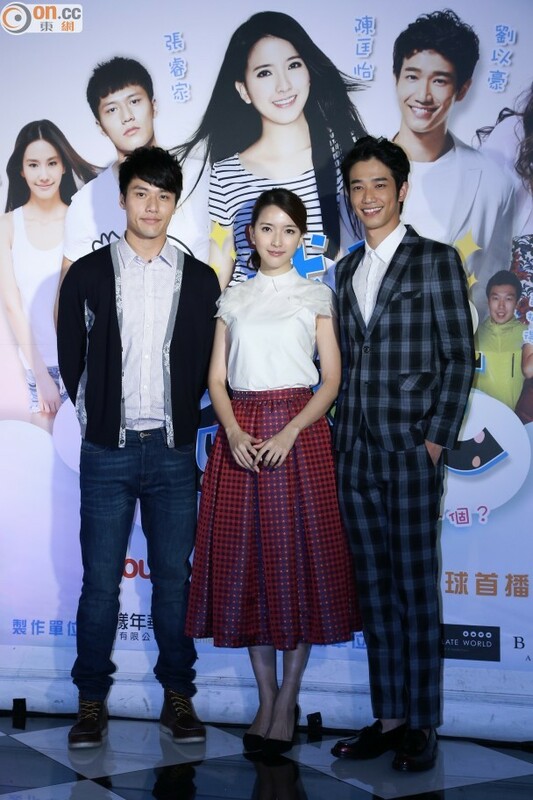 Tags: andrea chen, bryant chang, jasper liu, 我的鬼基友. Bookmark the permalink. Bryant Chang casted as main lead in c-drama Our Love that was aired in 2013. I didn’t watch him in True Love 365 as it has not available with English Subtitle. He might cast in other c-drama, but I didn’t recall the title. Well, I know he starred in Our Love too because Joanne Tseng is in it too, it’s funny that they starred together as a couple in True Love 365 but paired with different people in Our Love. I usually differentiate TW-dramas and C-dramas so on his latest resume, I’ll just put True Love 365 which is his latest Tw-drama. I didn’t watch both dramas, I did watch the trailer of True Love 365 though, haha.